In the past ten months, I’ve travelled to Madrid, Marrakech, Marseille, Avignon, Berlin and Montréal as part of the HouseTrip diplomat programme to explore these destinations and stay at HouseTrip holiday rentals. The experiences, from searching for the best bouillabaisse in Marseille to uncovering exotic chic in Marrakech, have been rich and lots of fun, all thanks to the hosts who made my stay so incredible. 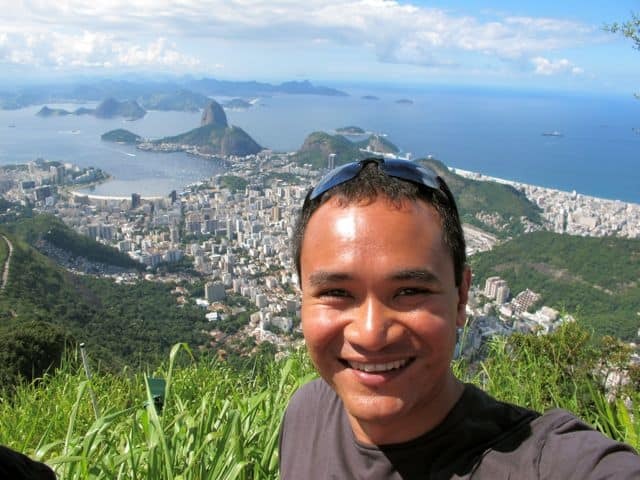 It was quickly clear to me that staying at a holiday rental allowed me to travel like a local, with locals! 1. Please introduce yourself and your accommodation options. Stephan’s beautiful loft that I stayed at in Moabit. We did this at first with all the rotten flats we rented in Berlin and then decided to buy all the flats first before we started to transform them into decent homes for other landlords. We started with a felt company building which was the home in 1968 to 1969 of the so called Commune 1, the German Hippie movement. We rented one floor at first, transformed it into the office of my growing engineering business. It started simple with repairing the huge oil heating with all the other tenants of the house and put up wooden frames with plastic sheets to cope with the cold winter season. It took us several years and we invested a lot of time and money to transform this nice building into a reasonable home. After finishing complete flats we had to do something with it. We decided to rent them as vacation homes. It is nice to see and speak to so many people from abroad coming to Berlin with their stories. We did more flats in the adjacent blacksmith building and the two-storey horse stable. 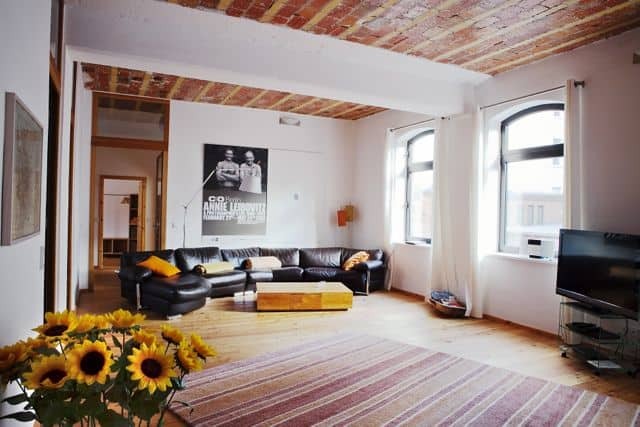 Another of Stephan’s gorgeous lofts in Moabit. All our flats are at the same location, close to the new main train station in Mitte/Tiergarten/Moabit/Stephankiez. 2. What makes Moabit a great neighbourhood to stay in Berlin? Moabit is a central residential area which is still in a kind of original state. Gentrification has not changed lives here very much and it is not a place for partying. You have very good connections to public transport, local shops and affordable restaurants. You can do the complete center by bike. There are nice almost unknown parks like the Fritz-Schloß Park and Kleiner Tiergarten and of course the big Tiergarten at Brandenburg Gate as well as the lake Plötzensee where you can go for a swim which we do quite often on hot summer evenings. 3. What are your favourite shops, cafés, bars and restaurants in the neighbourhood and why? I like the small and simple cafés and shops like the restaurant Arema and the Thea & Coffee coffeshop in Birkenstreet. Instead of big opera and theatre, I like the many small occasions where there is an author reading at my favourite Dorotheen book store with music, or a small jazz concert in the beautiful renovated Arminus Markethall in Turmstreet. In Moabit are many civic alliances caring for kids, playgrounds and the local community. There are many opportunities to participate. You can just walk through the streets and discover the backyards where hidden artists have their workshops, listen to music and follow the activity of the Berlin people. 4. What are your recommendations to guests visiting Berlin for the first time? There are many sights you must have seen like the Reichstag and the Brandenburg Gate because of their historical importance. You will find all these landmarks in travel guides of course. Besides that, Berlin is changing quickly. There are always new things, some with an experimental character, just starting. 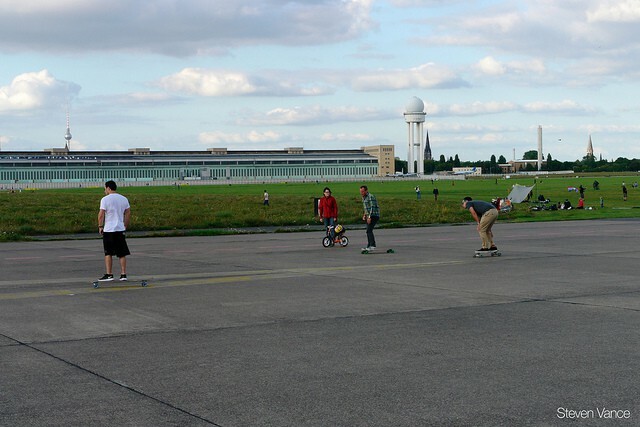 For example the new public place of the former Tempelhof Airport – the airport famous as the ‘air bridge’ between Berlin and the West during the Cold War. It is a huge new area open to the public where you can test things which need space – biking, skating, try your new paper kite or open a field game for your birthday or do a little bit of gardening. It is worth to be discovered and fill it with your new ideas. Do not forget to find a bike first if you are not a runner to discover the whole field – it is big. Another place I love is the lake Plötzensee I mentioned before in the north of Berlin very close to us. Basically ten minutes by bike. You can go into the very nice and huge park and from there to the border of the lake, jump over the fence and take a really good refreshing bath. Babett and I do this in the summer quite often. Only a few people know this opportunity. You can also go to the other side of the lake. There is a man made beach bath with several old buildings with was built during the 1930’s. There many other places to take a bath in Berlin like the Wansee beach bath which is always very crowded or the numerous lakes in Brandenburg state. 5. Your lofts are located in a fascinating building. Could you tell me more about the building, its history and the renovation work? (I especially loved the terrace which could only be accessed via the bathroom with its beautiful sink). You are right Keith, some of our lofts like the Commune 1 building have an interesting history. Some of the communards are still alive as well as their supporters. Some have become German parliament members and ministers, while others have committed suicide after they became leading members of the RAF terrorist group. Jimmy Hendrix spent an evening with the beautiful Commune 1 member Uschi Obermeier in the Stephan street loft. The history of this Commune 1 group started from political comedy and imaginative rebellion against the society which then became criminalized by the establishment. We have two spacious lofts in this building. The Hayloft as another example is in a two-storey horse stable. Horses went up a ramp to the first floor. Plumbers used the second floor before us and installed an old stone sink like the ones youth hostels have in their bathrooms. If you go through a very little door at the end of this bathroom you enter a spacious sunny terrace. The neighboring building was built in 1905 with a big red brick chimney. We are still not sure what was produced there – something about spiral spring production. You can sit in the quiet backyard and enjoy the sun after a full day of discoveries in Berlin. We always try to make our flats cosy and warm and support communication through architecture and design. The main living room always has plenty of space, a big table and areas to stay together in a kind of relaxed mood. That’s how we try to make our guests feel at home, like locals in our city! Spacious living room in the loft inside the old forge. Check out the video below of interviews with Stephan and Martina in Berlin by Dave & Deb from The Planet D! Note: this post was brought to you in partnership with HouseTrip. Stumbled on your blog after reading a short blurb that you were a former investment banker! i’m (stuck) in the field now and am just dreaming of travel 🙂 so nice to find your blog! Great post and nice images. great to see this kind of traveling blogs. thanks for sharing this one..
Wow that’s nice post really wanna go in Moabit there are so much things for us to enjoy with family really wanna go…..!!!! Such a homey place to stay at! Miss home because of this.